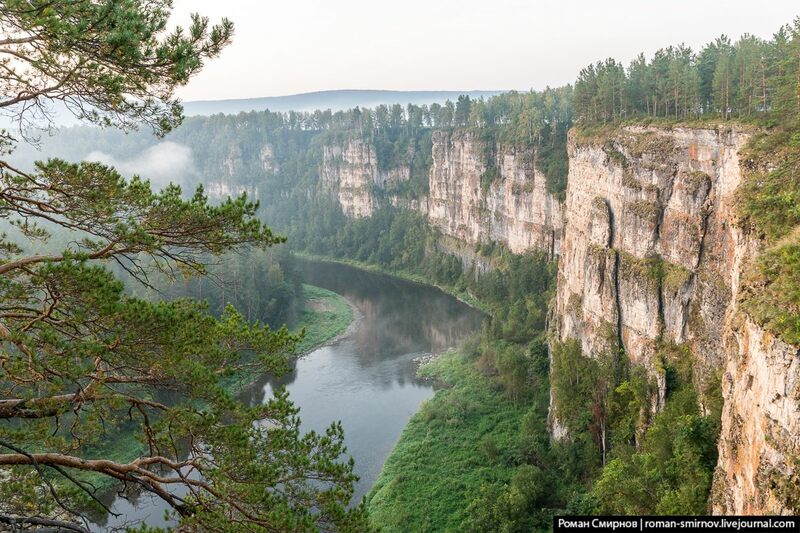 The cliff of Bolshiye Pritesy, located in the west of the Chelyabinsk region, is one of the most famous and popular sights of the Ay River. The height of this steep rocky wall is up to 100 meters. 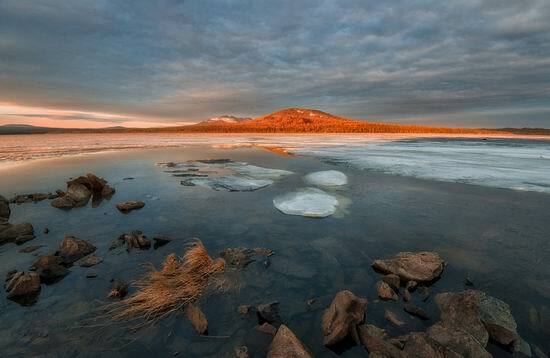 The Ay River is one of the most beautiful rivers in the Urals. 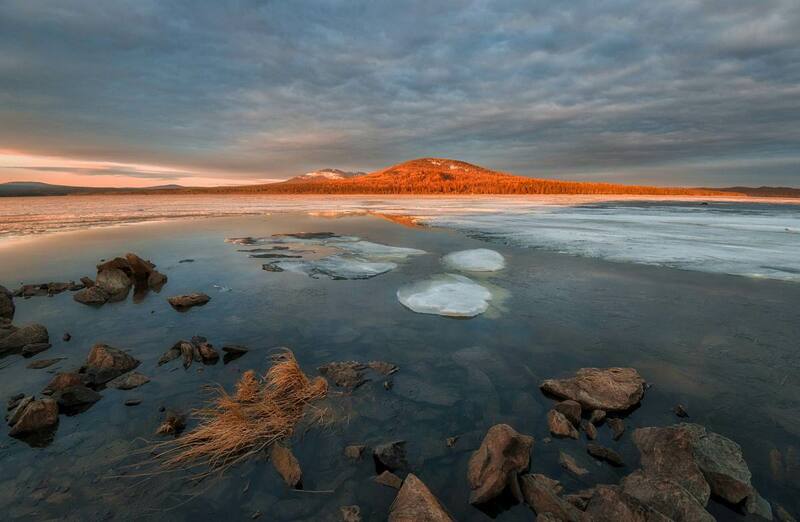 In the Bashkir language its name means “Moon” or “Moon River”. It flows through the territory of the Chelyabinsk region and the Republic of Bashkiria. The length of the river is 549 kilometers. It has a lot of picturesque cliffs, rocks, caves. Taganay is a national park located in the Southern Urals, in the western part of the Chelyabinsk region, 130 km from Chelyabinsk. 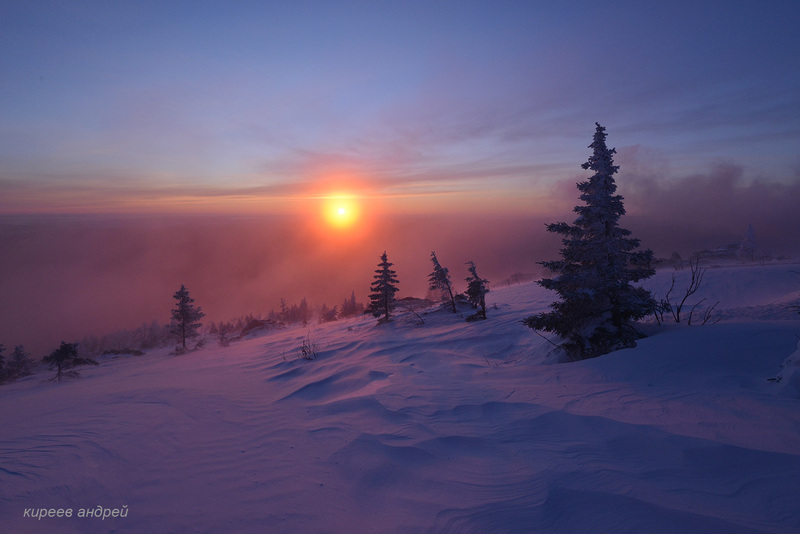 The territorial center of the park is the city of Zlatoust. The total area of the park is 568 sq. km. The following photos were taken in the area of the Meteorological Station “Taganay-Gora” – the most remote shelter of the national park located on a picturesque mountain plateau. Air temperature – minus 30 degrees Celsius. Taganay National Park on Google Maps. Photos by: Andrei Kireev. Karabash is a small town with a population of about 12 thousand people located in the southern Urals, in the Chelyabinsk region, about 90 km from Chelyabinsk. This town is one of the largest copper smelting centers in Russia, known for its severe environmental situation. 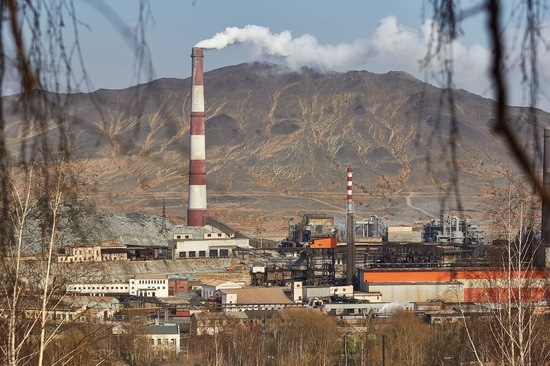 Large quantities of pollutants, mainly gases, are generated during the production of copper from copper ore. All these gases were being released into the atmosphere without cleaning for decades. 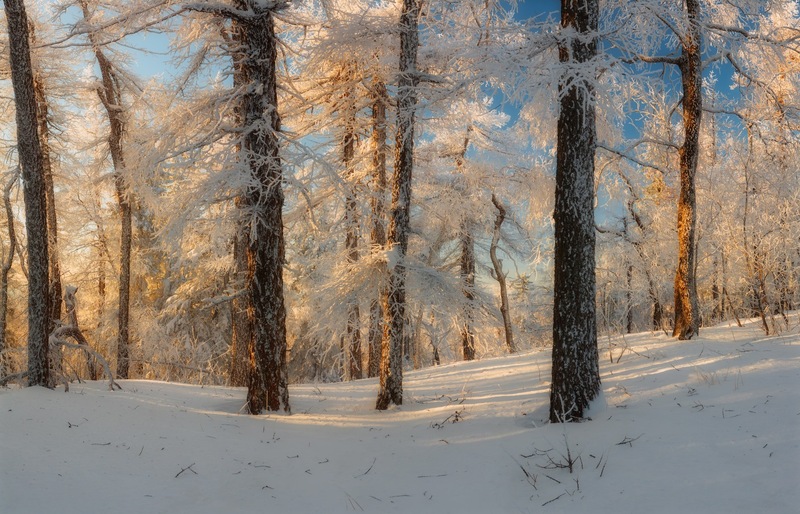 “Zyuratkul” is a national park located in the southern part of Satka region of Chelyabinsk oblast, 200 km west of Chelyabinsk. 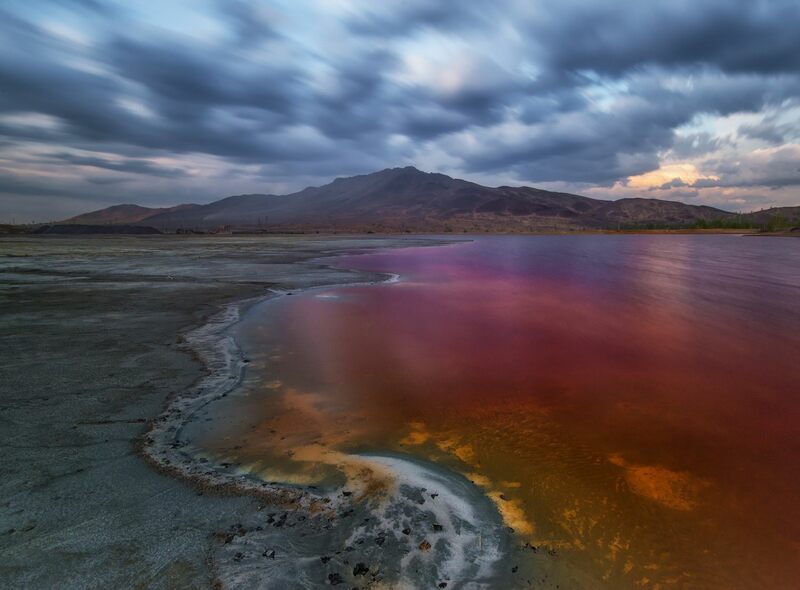 The total area of ​​the park is 88,249 hectares, the length from north to south – 49 km, from east to west – 28 km. Snow is almost gone in many Russian cities and soon nothing will remind of winter. These photos are not fake. At least so say the editors of the newspaper “Kopeysk Worker” published in Kopeysk town (Сhelyabinsk region). Karabash is a town in Chelyabinsk oblast, Russia located about 90 kilometers from Chelyabinsk. 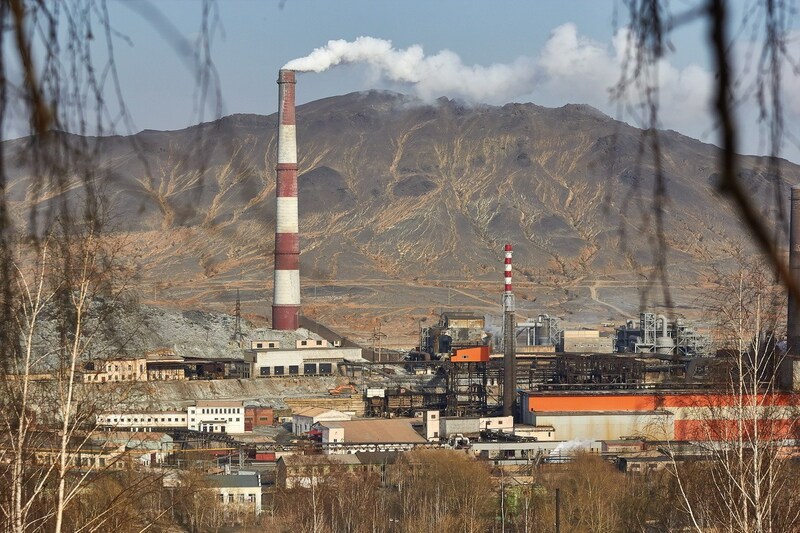 It is one of the largest copper smelting centers of the country. 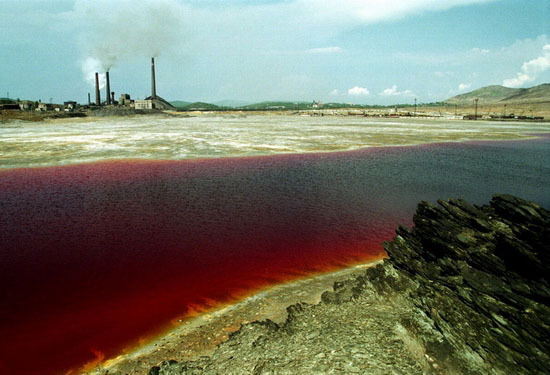 For a time, according to UNESCO, Karabash was considered the most polluted city in the world. 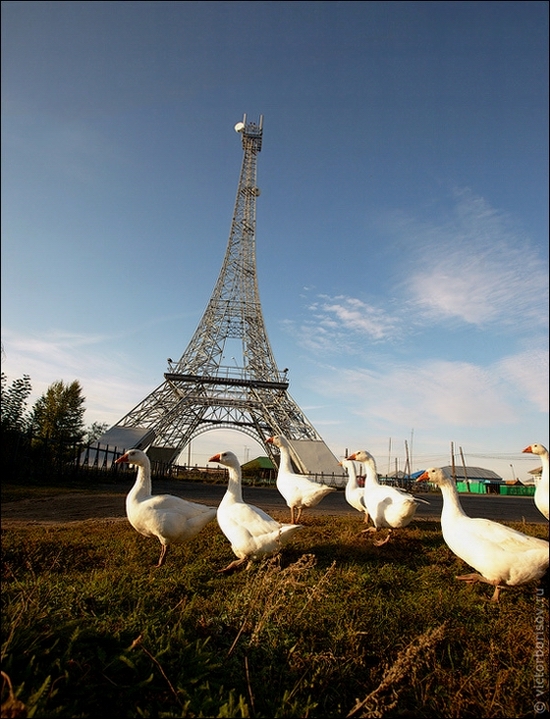 There is a village located in Chelyabinsk oblast of Russia called Paris having its own Eiffel Tower. The photos were captured by Viktor Borisov.